The news keeps coming about Jean Claude Van Damme’s bout coming up with Olympic gold medalist and noted Muay Thai boxer Somluck Kamsing. Or rather the promotional activities leading up to Van Damme’s fight with Somluck, which is tentatively scheduled for broadcast October 2010. As already announced, Van Damme has cemented a deal with the United Kingdom’s I TV Network to help develop his reality TV show. The upcoming reality TV show will chronicle Hollywood blockbuster actor Van Damme’s training and preparation for the bout. 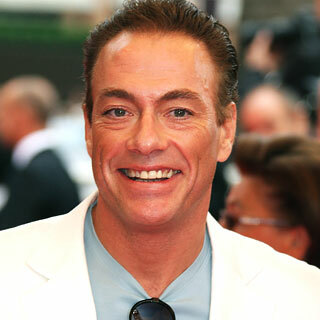 There has been some growing hype about the event with Van Damme actively working the press circuit and appearing at the famed Cannes film festival to further hype his coming reality TV show debut. It looks like the USA has finally caught on and the America A&E network will pickup Van Damme’s reality TV series for the United States. A&E is probably best known for bringing reality TV show star and son of Ozzy Ozbourne, Jack Osbourne to Thailand to train and ‘fight’ at Fairtex. There’s an abundance of material for reality tv dramatics with Van Damme’s multiple marriages, history of battling addiction and with children from his 2nd wife in tow it could be a very interesting season. Supposedly the first 6 weeks will cover Van Damme’s training up to the fight with the 2nd 7 weks covering Xomluck Kamsing’s activities leading up to the fight. “I’m in good shape, but it’s going to get better,” he said. Wow, I some how knew the invariable comparison with the Osbournes was coming. It is however starting to look like that’s the basis of the show in my opinion more so than Van Damme’s fight preparation. Thanks for reading. ~ by fatsoking on May 28, 2010. Just a quick note — there’s no space in “ITV”. My Friend, You are a Popular Artist in the Martial arts in IRAN ,I would like to Invite you for Participated in the World Festival of Martial Arts 2010 17 Jully till 22 jully 2010 Tehran-IRAN. If you’d like Come to our event, we can make your ticket of airplain, Hotel, VISA and Other Things,….